A cycle of increasing new malware is well underway and could last the rest of this year if a trend established over the past two years continues. Defenders enjoyed a nine-month dip in malware innovation last year, but that’s over with, according to a cycle identified by McAfee Labs. Its latest McAfee Labs Threats Report says that starting at the beginning of 2015, the volume of new threats has fluctuated in a regular pattern, with two to three quarters of growth followed by three quarters of decline. The last three quarters of 2016 showed decline, so the next uptick should have started last quarter. McAfee’s report on the first quarter 2107, which should confirm or refute the trend, won’t be published until summer. The latest decline saw the volume of new malware samples dip from about 37 million in the second quarter of 2016 to about 23 million in the fourth quarter of 2016, the report says. Data for the report was gathered from public sources, and from McAfee’s incident response and threat research teams. Meanwhile the total number of malware samples, new or otherwise, that McAfee detected has been on a steady rise for the past two years, from just over 400 million per quarter to just over 600 million in the last quarter of 2016. While it’s at a lower volume, total mobile malware samples is also steadily increasing, up from just under 4 million at the start of 2015 to more than 14 million in the fourth quarter of 2017. 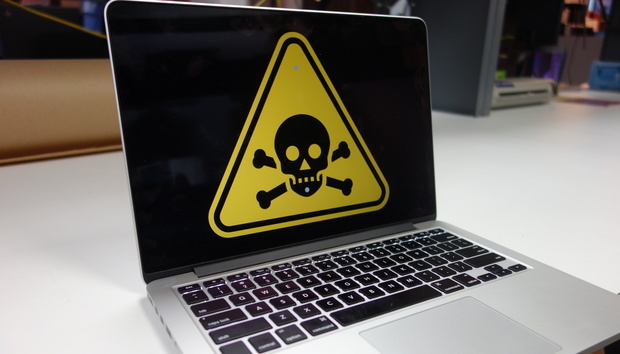 McAfee includes adware among the malware count which accounts for a dramatic leap in new malware found in Mac OS devices, in which adware was bundled during the fourth quarter of 2107. Ransomware, on the other hand, took a dramatic dip in the fourth quarter, due largely to the decline of Locky and Cryptowall as well as generic ransomware. Generic ransomware is malware that behaves like ransomware but doesn’t fit into any particular family as determined by McAfee’s automated methodologies. The volume of ransomware as a whole has more than tripled from the start of 2015 through 2016 from just under 3 million samples to about 9 million.